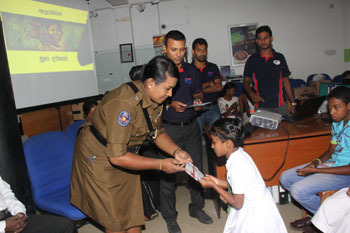 PLC Matara presented shoes and school stationery to students in the Matara area for the third consecutive year. The programme took place on 7 January at the branch premises, benefitting 100 students from low-income single-parent households. Beneficiary students were identified by the Divisional Secretariat. The facts were randomly verified by the branch staff through a field visit. Aligning with the presentation of the above items, a motivational programme was also arranged by PLC Matara for students and their guardians to get rid of their bad habits, strengthen parent-guardian relationships and inspire them to achieve more.